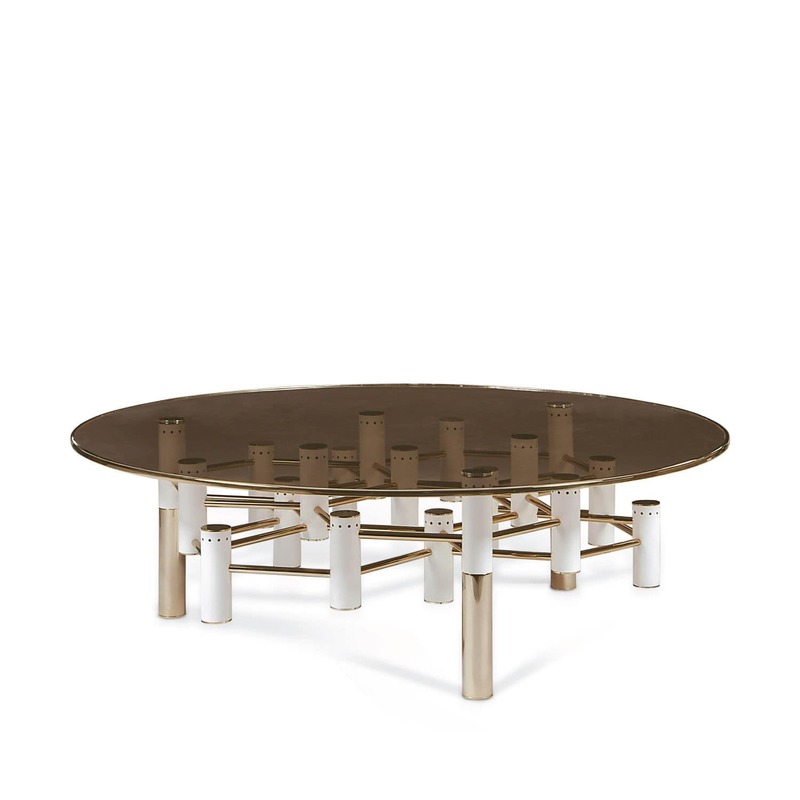 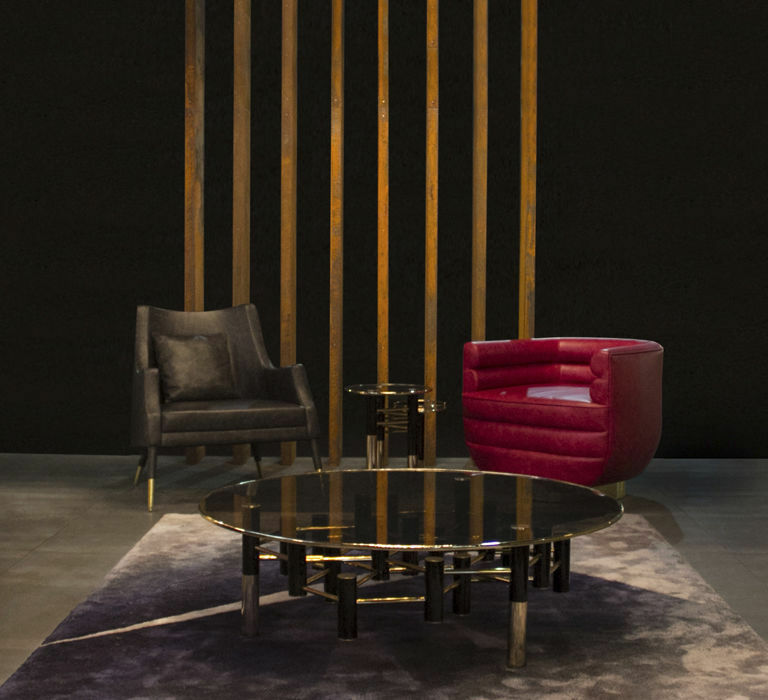 Konstantin is a low center table produced with a distinctive brown smoked glass top and a brass trim. 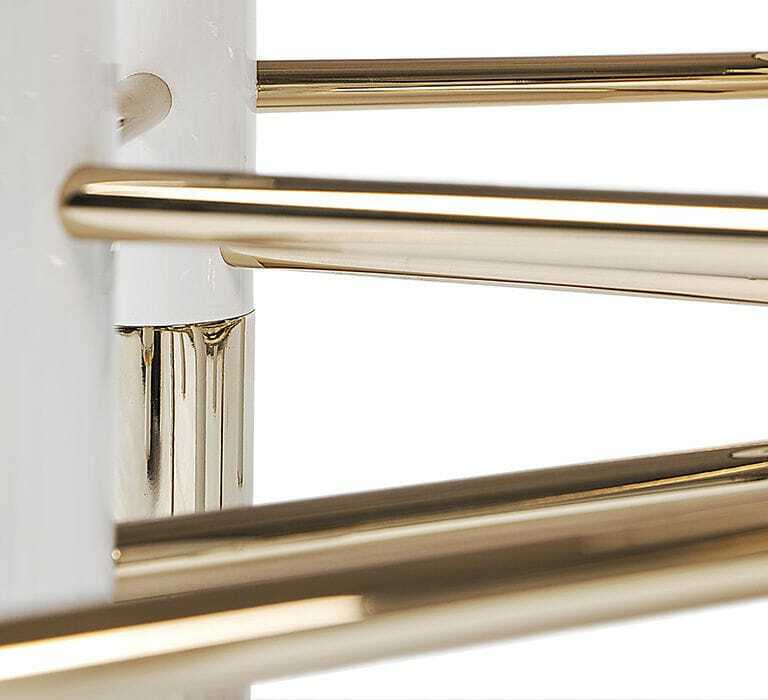 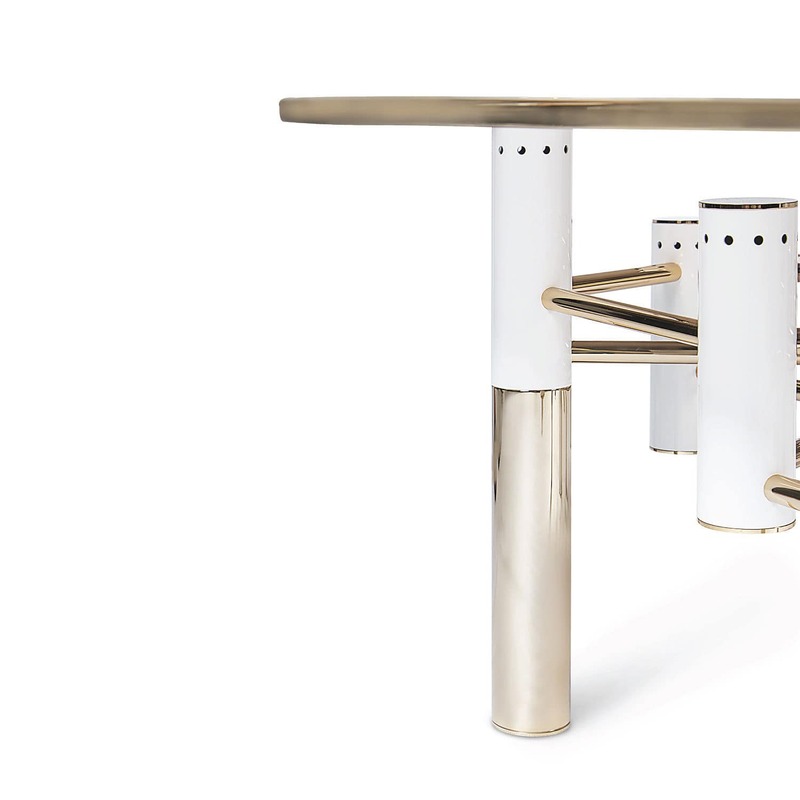 It features an elaborated central structure made of tubes, some finished in glossy white, others with a mix of polished brass. 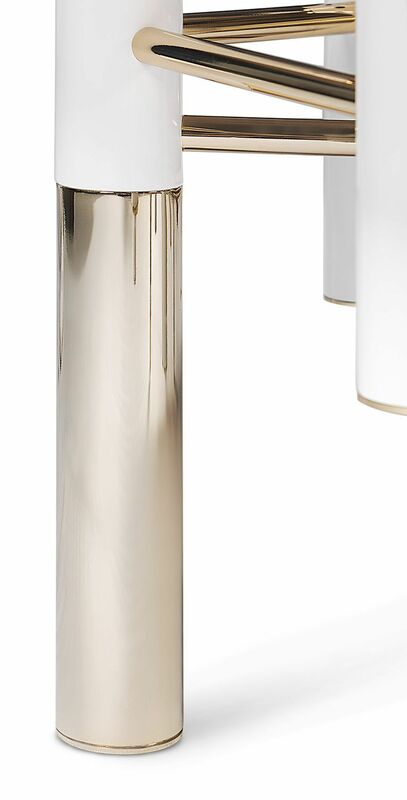 Body: Gold plated Brass, Matte Gold plated Brass, Polished Brass, Brushed Brass, Aged Brass, Nickel plated, Matte Nickel, Brushed Nickel, Black Nickel, Matte Black Nickel, Copper plated (10-20% upcharge), Brushed Copper (10-20% upcharge), Glossy or Matte RAL colors.